This could probably be the most impressive racing title on the XBox 360 at the moment which transformers gamers into Ryan Cooper, a street racer who has vowed to become the best at what he does. Unfortunately for Cooper, he faces some hard competition as he goes head to head against a variety of racers and perform a plethora tricks in order to purchase better cars and build his reputation. 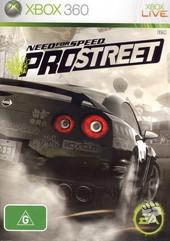 Featuring photo realistic graphics, extremely smooth gameplay and cars that will knock your socks off, EA have really upped the ante in the street racing genre and Need for Speed: ProStreet is a very good game. Real, Adrenaline-Fueled Racing — Experience the raw power of steet racing with a brand new physics engine and feel the fire of competition with an intuitively refined AI engine that smartly delivers on real driving behaviors. Dominate Across All Racing Disciplines - Becoming the Street King isn’t about winning one single event. You need to prove yourself in four distinct styles of racing. Unleash the power of the beast in a reinvented Drag mode. Master the art of control with Drift, and experience the intensity and rivalry of elite competition with Grip Racing. Completely new to the franchise is Speed Challenge, an ultimate test of speed and control. Street racing is aggressive and mistakes have consequences. Cars can be torn apart using truly advanced and comprehensive damage capturing technology. Witness cars colliding, metal denting, and debris billowing. To further amplify the realism, crash repercussions such as smoke, dirt spray and dust clouds can affect all racers on the track. Packed with features that will amp the spirit of competition and create for the ultimate showdown between you and your friends. The rules have drastically changed making for a more intense and aggressive online (requires internet connection) arena. Your machine doesn't have to look like much - as long as there are secrets underneath that hood. For the first time ever, see the impact of the Autosculpt technology on performance – all in real time. Sculpt your cars inside a wind tunnel and choose from hundreds of real-world, aftermarket parts to build your ultimate battle machine. Once you’ve designed it share it. The all new Blueprints feature allows you to upload your visual and performance customization settings online*. 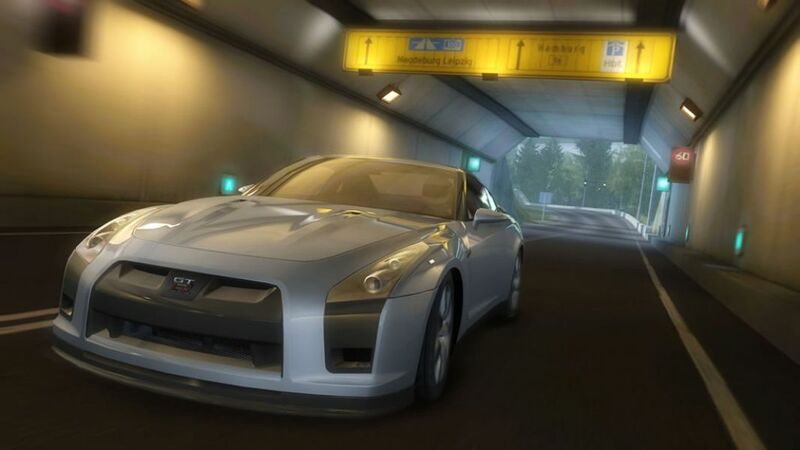 Once downloaded, you’ll be credited each time your design is used to dominates in a race. Boasts cars that exude power, menace and raw energy with their look and sound along with the most realistic smoke ever seen in a racing game. Authentic and relevant real world track locations and the best street drives from around the globe combine to create the most stunning racing environments ever. The main gameplay mode is the career mode which includes a variety of different race days and styles such as drag, grip and drift races which will really test your ability as a driver. 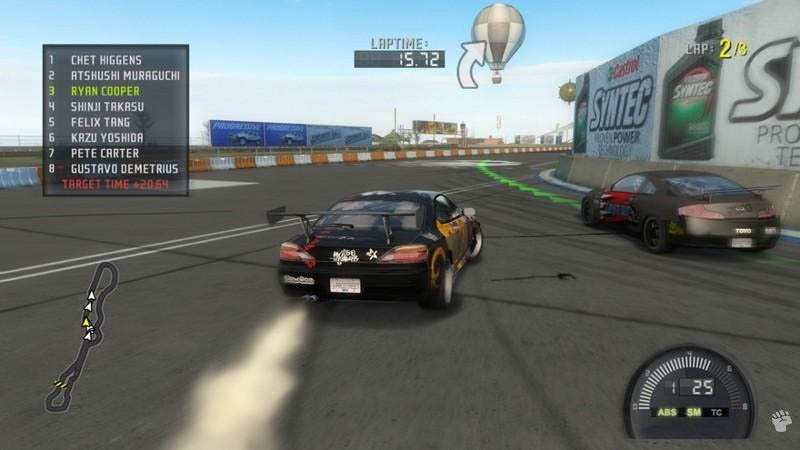 Although the title does contain some mini-races and games, these are the main styles that you will race. The developers have ensured that winning is not just enough because in order to gain the best cars and unlock the best performance enhancers, it’s necessary to dominate. However, in order to dominate, you have to achieve a certain point spread over your competition throughout the events of the race day. If you hit a certain number of total points, you’ll get a special gift, which can be money or special unlockables. Another twist in the game is that crashing your car has some serious ramifications in ProStreet, more so than previous Need for Speed titles. You’ll need to repair the damage that you do between races, or else your car won’t quite be up to the snuf that it needs to be to dominate. Damage can range from light to pretty serious, and get into a serious enough fender bender and you’ll total your car and render it useless. Additionally, hitting restart will not magically repair the damage to your car, as you’ll go right back to the starting line with all the scrapes and dings that you just accumulated. This is a pretty unforgiving development from the game’s creators, so be sure to tread on eggshells while still trying to win. The real difference in Need for Speed: ProStreet comes from the ability to tune your car’s performance. Whereas performance upgrades played a part in previous entries to the series, the illegal street racing atmosphere of Underground and Carbon had performance upgrades taking a backseat to aesthetic style. However, ProStreet allows you to really get your hands dirty when it comes to upgrading your cars. While those who do not know much about upgrading cars are able to purchase “quick upgrades” that package performance blueprints in a certain aspect, like Power or Handling, car buffs can get into custom upgrades in order to purchase every part themselves and will probably get the most out of the robust tuning system, which lets you gear the car to your own personal racing preferences. Aside from the career mode, there are some pretty cool features in the Race Days mode, which allows you to create your own race day, choosing your courses and which races you’d like to do during the Race Day. Once you’ve created your Race Day, you can either go it alone or take it online to challenge your friends on Xbox Live. You’ll also be able to trade around custom blueprints with your friends over Live, which represents a great community element new to the Need for Speed franchise. Graphically, the game looks pretty phenomenal, boasting some nice new details and effects. 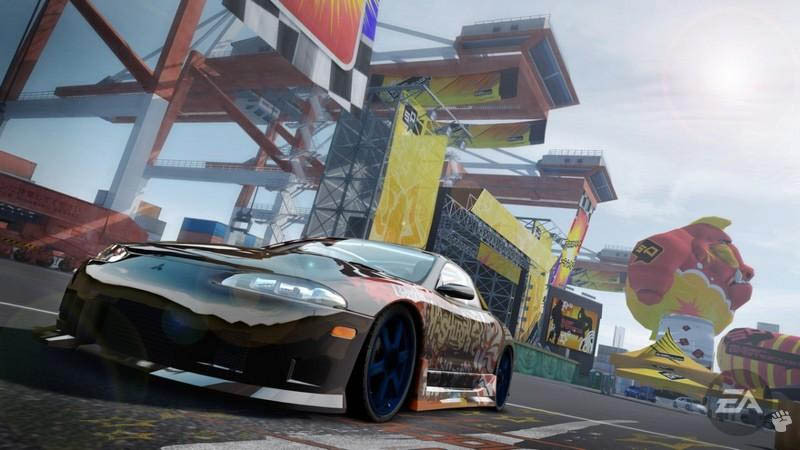 While the previous few Need for Speed games focused on bright neon and blurring city lights, ProStreet has an almost Spartan look to the cars, which aren’t built to be pretty, but built to be fast. That’s not to say the game isn’t a dazzling piece of eye candy, as it most certainly is. The car models look very realistic, and will take damage realistically. Bits of the car’s body will crumple and eventually look a complete mess, before being totaled of course. In the sound department, the game is pretty impressive as well, with great sound effects and some decent voice work. As per usual with EA Trax, the soundtrack is a pretty diverse mix of songs from groups you may’ve heard in other EA games, with bands like The Rapture, CSS, and Datarock rounding out a list that also features a fair amount of techno and rap. In conclusion, EA have another winner on their hands with this fascinating game and direction for the series, one that represents a strong shift towards customization and community elements. Finally getting away from neon-glare of illegal street racing, the Need for Speed series puts out a title that petrol heads will want to get their hands on. Great stuff!